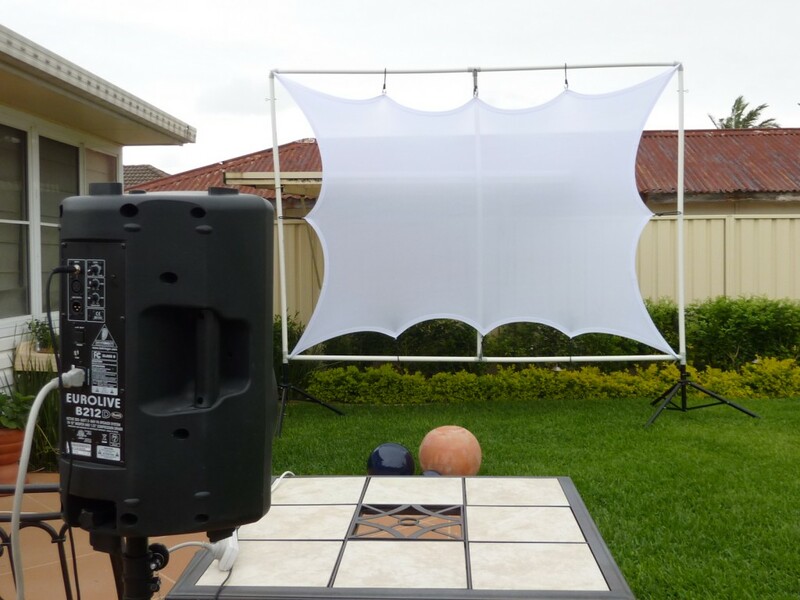 Lightweight outdoor projector screens. 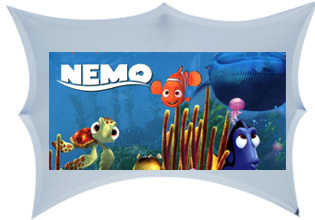 Stretch Projector Screens are weatherproof and offer both front and rear projection. 3 metre + Wide $157 or 4 metre + Wide $188 Sent express post daily Australia Wide. 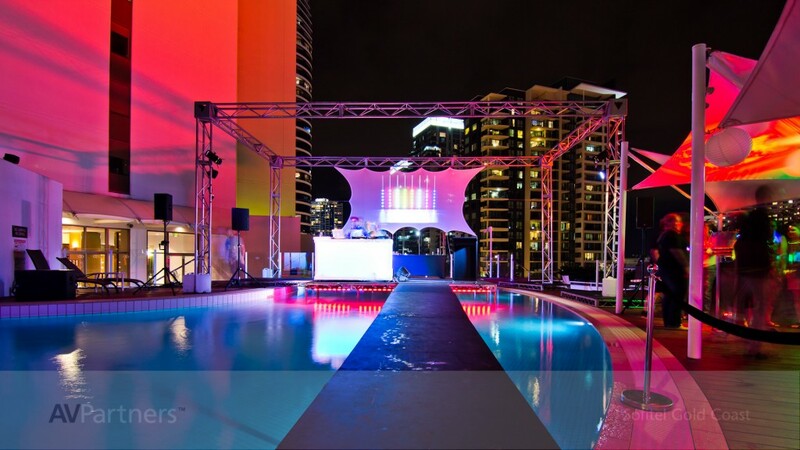 Stretch outdoor projector screens can be used indoors as well as outdoors for a large screen projection. 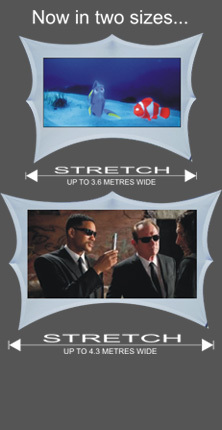 STRETCH is great value if you want to make a fabric projector screen yourself, our screen fabric is fire retardant and cut and sewn to a pleasing shape. Also bear in mind a indoor projector can be used for outdoor projection, you do not need to buy an outdoor projector. Just be sure to keep it protected from the weather. 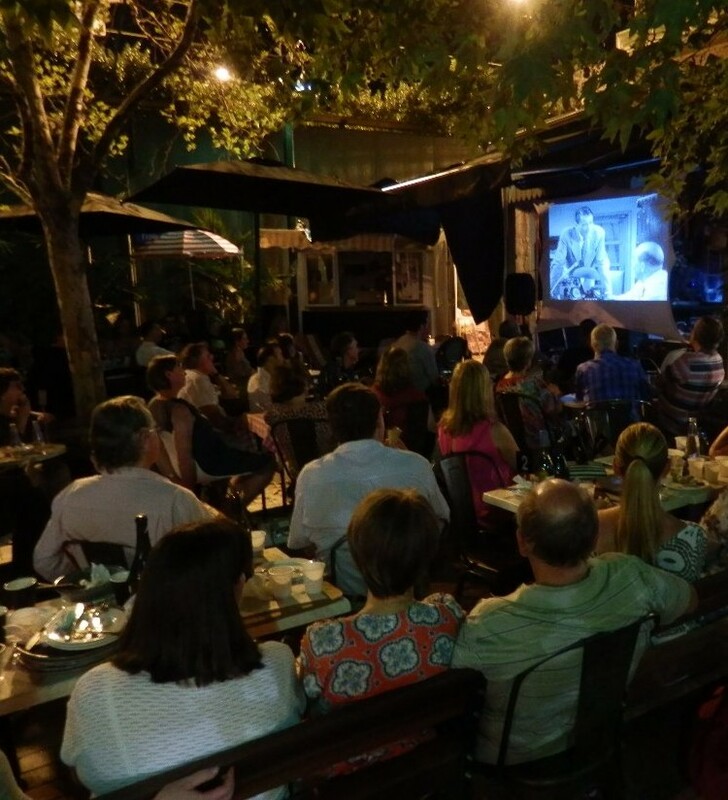 A Stretch outdoor projection screen is a cost effective alternative to buying an inflatable projector screen. 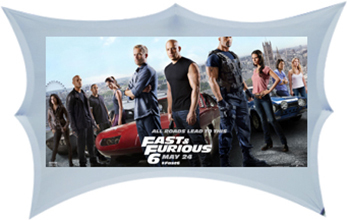 You will like the classy finish of a stretch outdoor projector screen compared to an inflatable projector screen. If you are looking to buy a big outdoor projection screen the following key points will help you to decide which model to choose.